"I can't thank you enough for arranging our CapMAC Phoenix golf outings. You arranged everything perfectly. It is a pleasure to deal with you and know that we can book some of the premier courses in the Phoenix/Scottsdale area weeks in advance. We and our clients thoroughly enjoyed the experience". "It was great news to hear the Phoenix Convention Bureau has contacted you to advise of a solution for handling the ever increasing requirements for visitors to Arizona. Over the past years we have enjoyed a professional business relationship with your organization. The integrity demonstrated by your staff is of the highest quality. You have been a steady supplier of customers to our Golf Course; and your golf club rental program has been of tremendous importance to us in supplying our tournament needs. Our sincerest thanks to all who have taken the time to write such wonderful letters thanking us for our service. We are unable to publish all of them here, however, we will change the listing from time-to-time, so continue to check back and possibly see yourself in print! Meanwhile, know that we are grateful for your appreciation of our efforts. Your comments only serve to have us work harder to accommodate client's needs while visiting our beautiful state of Arizona. 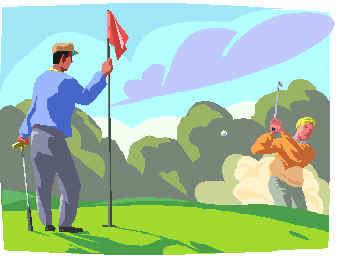 YOUR HOLE IN ONE CALL GOLF SERVICE! � Copyright 1998, Golf Xpress. All Rights Reserved.